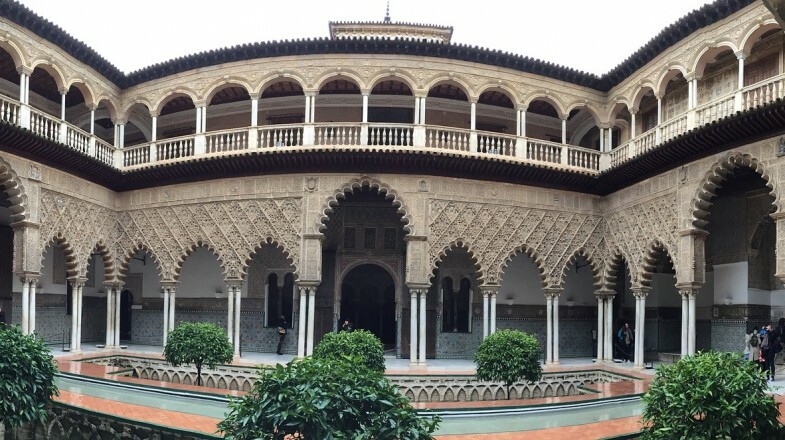 The crown jewel of Seville, the Real Alcázar, or the Royal Alcazar of Seville, is an outstanding complex full of intricate detail, exquisite tile artistry, lavish gardens, and breathtaking spectacle. Overwhelmingly beautiful, the Real Alcazar inspires and enthralls all who walk through its doors. A perfect blend of Romanesque, Gothic and Arabic styles of architecture, this grand and magnificent palace is one of Spain's greatest treasures and an unforgettable sight to behold. Up to USD 18, depending on the ages of visitors and the attractions visited. The outstanding Real Alcazar Seville dates back to the 10th century when it was built as a fort for the Cordoban governors of Seville. Since it's construction, the Alcazar has undergone a series of renovations and revamps. The most lavish renovations occurred in the 14th century, when King Pedro commissioned the extravagant Palacio de Don Pedro be built as his throne room. The Alcazar has been used as a royal residence since 1248 when the Christian king Fernando III captured Spain. Today, the upper levels of the palace are still used by the royal family as their official residence when in Seville. Tickets for the Real Alcazar can be purchased online in advance, or from the ticket office on the day of your visit unless you are part of a guided tour. The ticket office is located outside the Puerta del Leon. Tickets cost approximately USD 13.50 to explore the ground floor and gardens and an additional USD 5.30 to visit the royal apartment and the upper floors of the palace. Children under the age of 16 can visit the Real Alcazar for free when accompanied by a person of legal age. Entrance to the palace is limited to 750 visitors at any time and access is closed once capacity is reached. It is recommended that you arrive at least 15 minutes before the Alcazar opens to ensure your spot and avoid waiting in a lengthy queue. It is also possible to visit the Alcazar at night as part of a guided tour; however, availability is limited. Marvel at the detail and architecture of the oldest palace in Europe as you make your way through the rooms and salons where history was made. Tickets for night visits are USD 16.40 and must be purchased in advance online. The Real Alcazar is a fortified palace enclosed by high stonewalls. Comprised of many rooms, patios and exceptional halls, the Alcazar was built in a myriad of architectural styles reflecting the city's diverse cultural influences. The Real Alcazar is a fortified palace enclosed by high stonewalls. Comprised of many rooms, patios and exceptional halls, the Alcazar was built in a myriad of architectural styles reflecting the city's diverse cultural influences. Enter through the Lion's Gate and experience the wonders of the Alcazar as you explore more than one thousand years of history, artistry and adventure. The main entrance to the Alcazar, the Puerta del Leon or Lion's Gate is a stunning gate leading to the Patio del Leon. Flanked by crenellated walls, Puerta del Leon takes its name from the 19th century tile-work that adorns the archway and depicts a crowned lion holding a cross and bearing a Gothic script. 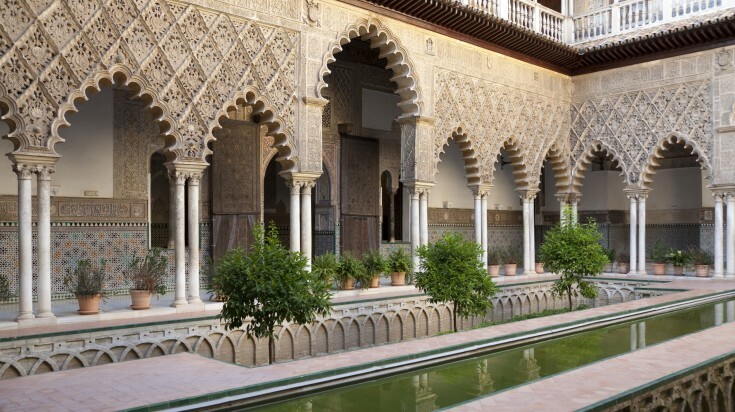 There are several beautiful patios and courtyards that link the various palaces, rooms and halls of the Alcazar. Some of the patios date back to the 11th century while others were built as part of more recent renovations. Each courtyard reflects the era of its construction, boasting colorful tiles and plasterwork, and tells a story of a significant moment in history. The Salon de Embajadores is the most spectacular room in the Alcazar. Known as the Ambassadors Reception Room, it was originally constructed as a throne room for King Pedro I. As such, it features a rich décor, brilliant golden tiles, and a fantastic wooden domed ceiling adorned with multiple star patterns that symbolize the universe. The Cuarto Real Alto, or Upper Royal Quarters, are the rooms used by the Spanish royal family when they visit Seville. Entrance to the royal apartment can be obtained every half-hour as part of a guided tour. Highlights of Upper Royal Quarters include visiting the 14th century Salon de Audiencias and the personal chambers of Pedro I's, which features marvelous tile and plasterwork and lavish decor. The Alcazar de Seville is surrounded by lush and exotic gardens. As you exit the building, pass by a wide variety of vibrant and fragrant flowers with shimmering pools of water and fountains flowing throughout. Once used for supplying food for palace residents, the gardens are now serve an aesthetic function that brings pleasure and serenity to all who visit. Do not enter with sharp objects. No flash photography or use of tripods. Do not touch or lean on the various elements, including columns, doors, and windows. Eating and drinking are strictly prohibited outside of the cafeteria. Admission to the Alcazar is free on Mondays from 16:00 to 17:00 (October through March), and 18:00 to 19:00 (April through September). Tickets are limited, so we recommend you book online in advance to secure your place. One of the best ways to experience the Real Alcazar is by exploring on an official guided tour. Not only will you avoid the long queues by taking an organized tour but you will enjoy privileged access to this architectural marvel. As you make your way through the palace, you guide will share detailed explanations about the history and significance of the building and the intricacies of this exceptional heritage site. Don't miss the chance to experience this breathtaking beauty with a knowledgeable and trusted guide. Seville is an energetic and vibrant metropolitan city that reflects its rich and diverse history, and nothing represents that better than the spectacular Real Alcazar de Seville. The crown jewel of Spain's fourth city, the Alcazar is a must see for anyone visiting the area. 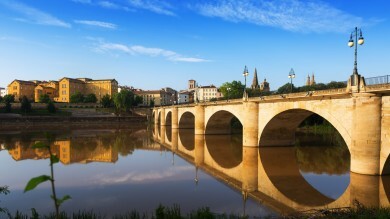 Gain a deeper understanding of Spain's diverse history by exploring the Alcazar with a knowledgeable and trusted guide.